Walnut Creek, CA–Researchers from the Department of Energy Joint Genome Institute (JGI) and the University of California, Berkeley, report the first genomic characterization of a microbial community. The results announced online February 1st in the journal Nature reveal how the genetic identities of microorganisms thriving in toxic conditions, “extremophiles,” were recovered from a natural biofilm growing at an Environmental Protection Agency Superfund site. Four of the five of these microbes have to this point defied laboratory culture and have only been studied in their natural habitat, in this instance runoff from an abandoned mine, or acid mine drainage. Jillian Banfield and her colleagues from UC Berkeley, who have been studying this site for the past eight years, retrieved the sample from the depths of one of the nation’s worst Superfund sites in Iron Mountain, California near the northern town of Redding. Decades of earthmoving activity at the Richmond Mine in Iron Mountain, CA created opportunities for microbes to colonize the site. The complex interaction of microbes, water, and exposed ore has generated dangerously high levels of sulfuric acid and toxic heavy metals that ultimately find their way into the upper Sacramento River ecosystem. Banfield’s team applied the screening technique known as FISH (fluorescence in situ hybridization), a microscopic technique for a gross assessment of the microbial composition before sequencing at the JGI. A panoply of bacteria and archaea emerged, including those from the Leptospirillum and Ferroplasma genera which are implicated in mine leaching. Archaea are the remnants of an ancient group of organisms that bridge the gap in evolution between bacteria, prokaryotes, and the eukaryotes, those organisms whose cells have a nucleus. “We extensively sampled the genomes of the dominant members of one of the microbial communities we were studying. Our analyses of the assembled data have revealed a great deal about the population structure as well as the nature of pathways central to survival of the microbial community” says Banfield. Microbial communities, though often undetected by the naked eye, play integral roles in the ecosystems where they reside. Examination of such actors, good or bad, has been difficult because the vast majority of microorganisms resist cultivation in the laboratory so their actual function within the environment may remain cryptic. Now, however, by applying the shotgun sequencing strategy to the problem, information about these communities and their interactions with their environment is surfacing. The shotgun sequencing process entails cutting up the long strands of DNA bound into the organism’s genome into manageable pieces of approximately 3,000 base pairs. Then, methodically, these pieces are labeled and fed through sequencing machines to generate the exact order of nucleotide letters in the microbial genomes. By employing JAZZ, a computational tool developed at the JGI for the assembly of genomes, the ends of these fragments are compared and the genomic sequence reconstructed; other algorithms identify the genes and their possible function. “This work has provided a fascinating window into not only the diversity of the species involved, but their interdependency. And just as we have found in our studies of vertebrate genomes, the individual differences within those species are coming to light,” says Rubin. Over the last ten years, DOE has had an abiding interest in microbial genomics, a spin-off from its significant sequencing contribution to the Human Genome Project. “The current sequencing capacity of the JGI now approaches 2 billion bases per month–among the world leaders in this respect. We are now in a position to take the microbial genomes such as those described in the Nature paper and completely sequence them in a matter of days,” says JGI Director Rubin. The authors on the Nature study are researchers Gene Tyson, Philip Hugenholtz, Eric E. Allen, Rachna J. Ram, and Jillian F. Banfield of UC Berkeley’s Department of Environmental Science, Policy and Management; the Joint Genome Institute’s Paul Richardson and Victor Solovyev; and Jarrod Chapman and Daniel Rokhsar of both JGI and UC Berkeley’s Department of Physics. 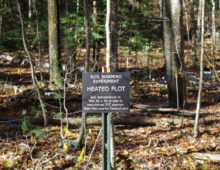 Support for the project came from the Microbial Genome Program within the DOE Office of Science and the National Science Foundation’s Biocomplexity in the Environment program. The Joint Genome Institute (JGI), located in Walnut Creek, California was established in 1997 by three of the DOE national laboratories managed by the University of California: Lawrence Berkeley National Laboratory and Lawrence Livermore National Laboratory in California and Los Alamos National Laboratory in New Mexico. In addition to its microbial sequencing projects, JGI has whole genome sequencing programs that include vertebrates, fungi, and plants. Funding for the JGI is predominantly from the Office of Biological and Environmental Research in DOE’s Office of Science.